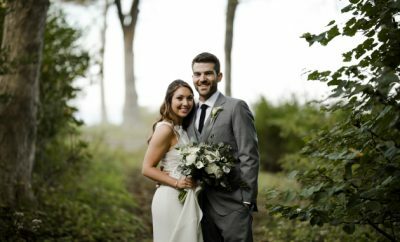 The newlyweds’ favorite memory of the day was their first look, which was a special time to reflect on how lucky and thankful they were. 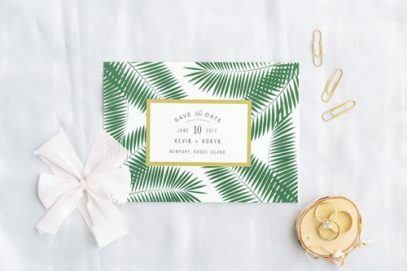 After their nieces served as flower girls and their nephew carried the rings, guests were welcomed to the reception by palm frond-printed notes expressing how happy the bride and groom were to celebrate with them. 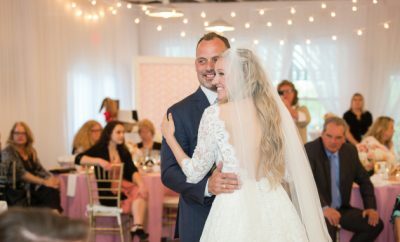 The couple’s first dance was to “What a Wonderful World,” which they chose because of the sentimental lyrics. 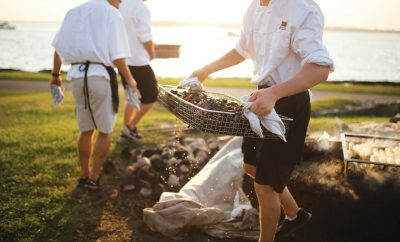 Robyn prefers a sleek modern look, so they kept the decor simple: white with touches of green and gold, and plenty of natural light from the venue’s wide windows overlooking Easton’s Beach. 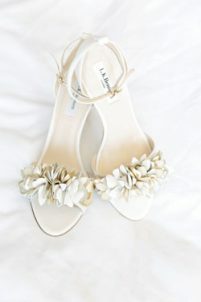 The bride wowed everybody in a silk mikado A-line gown, which complemented the clean lines of the event. The sweetheart table had two sleek rattan peacock chairs, which Robyn found online. 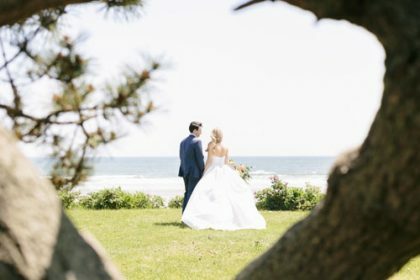 The beachy tropical theme included bridal bouquets of green palm fronds and accents of white and pink. 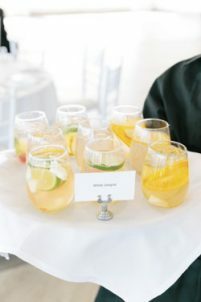 At the reception, the centerpieces ranged from tall, elegant palm fronds in vases to beautiful floral arrangements and potted greens among scattered moss balls. 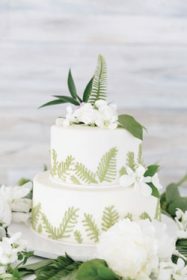 The two-tier cake was decorated with palm fronds. 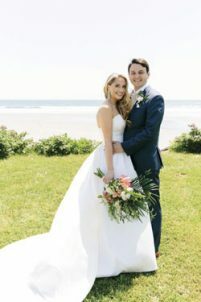 After honeymooning in a coastal rainforest setting in Saint Lucia, the couple returned to their apartment in New York City, where Robyn works as a matchmaker and Kevin is a consultant.